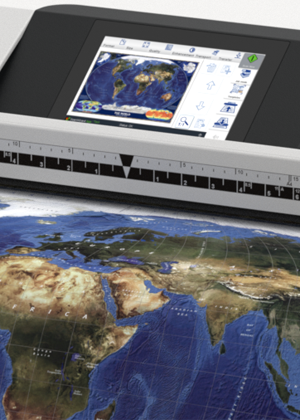 The redesigned WideTEK® 44 wide format CCD scanner with its large color touchscreen scans documents up to 44 inches wide (1120 mm) astonishingly fast. Bright white LED illumination ensures long lifetime and best scan results. WideTEK® 44 gently scans due to special transport rollers that serve as pressure points ensuring safe document transport. For historical and fragile documents, this is critical. The new background drum does not touch the glass plate at any time, avoiding scratches and document skews. For extra contrast on sepias and film based documents, the standard black background drum can be easily exchanged with a white drum, with no tools required. State of the art illumination using bright white LEDs guarantees long lifetime and a low cost of ownership, since there are practically no consumables necessary over the life of the product. Cutting edge camera technology, with a dust-protected, fully sealed camera box holding CCD systems that use a patented stitching procedure, delivers a scanner resolution of up to 1200 dpi optical. Scan2Pad® lets you control the WideTEK 44 using an iPad or an Android tablet or even a smartphone running Android version 4.0.3 or higher. For full information on Scan2Pad®, click here. 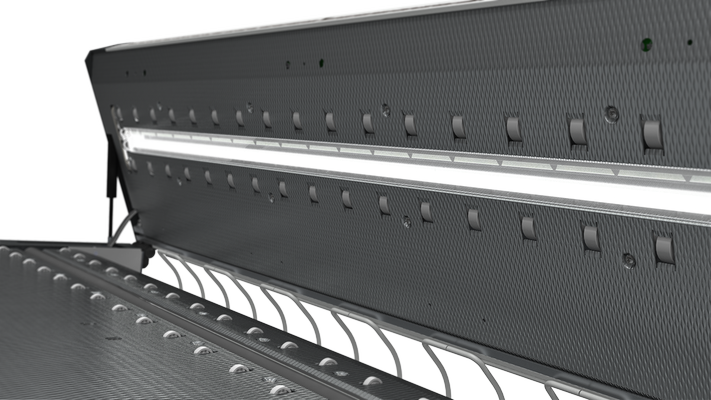 The exceptionally high scanning speed, dust-protected and encapsulated optical components and the absence of consumables characterize this highly efficient production-ready device. 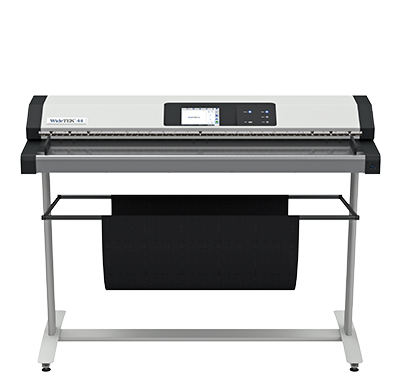 With a life expectancy of over one million scans, the WideTEK® 44 redefines the price/performance ratio in the wide format scanner market. Optimize your investments by purchasing the WideTEK® 44 wide format CCD scanner and upgrading to the larger WideTEK® 48 format later, when necessary.